The U.S. State Department will ask Cuba to withdraw most of the personnel from its embassy in Washington, a few days after taking a similar decision with its officials in the island, report local media today. The measure that has not been confirmed officially, could be announced as soon as this Tuesday, after last Friday the federal agency announced the withdrawal of over half its staff from the U.S. diplomatic see in Havana, said a report of the agency Associated Press. According to the news agency, a government official informed that the Secretary of State, Rex Tillerson, discussed the plan on Monday with president Donald Trump. Last September 29, the State Department announced it was reducing the presence of their officials in Cuba due to the health incidents reported by U.S. diplomats in the island, that Tillerson described as ‘attacks’ despite acknowledging they lack definitive answers on the issue. Thank you all very much for the invitation, to add my voice to those of young people gathered here, and the people of Cuba, as I have already done online, on social media, to the ‘Cuba votes against the blockade’ event; because the blockade harms the Cuban people, damages Cuba as a whole, damages the functioning of our economy, damages Cuba’s relations with third countries and those of third countries with Cuba, and even damages the relations we could have with the United States itself . For all these reasons we will vote against the blockade, and those who have not, still have the chance to on the “Cuba contra el bloqueo” (Cuba against the blockade) website. Before having a conversation – as I understand that this is a conversation with you and that I will take questions from you, I do not want this to be a monologue – I would like to share a few introductory thoughts – I will not be very extensive in my introduction – considering that just three days ago, there were announcements made in the United States related to Cuba, there were two announcements: first, a presidential policy directive, entitled ‘United States-Cuba Normalization’ and secondly, the fifth package of measures to modify the application of certain aspects of the blockade. There have been discussions on this, since last Friday, at the Foreign Ministry, through the Cuban press, on digital sites like Cubadebate, but I think it is important, as we had a little more time over the weekend to think about this, as these measures were announced just last Friday, October 14, to share with you some thoughts and some preliminary conclusions, which we have reached following the study and analysis of these two announcements. Firstly, I would like to refer to the presidential policy directive on Cuba. It is the first directive on Cuba approved and issued by President Obama who, as you know, is set to leave office in a few months, on January 20, 2017 to be exact, when a new administration, resulting from the elections to be held on November 8, will assume the leadership of that country, that is to say very soon. “We have been working for many years for a change in U.S. policy toward Cuba,” stated Josefina Vidal, the main face representing Cuba in diplomatic negotiations with the United States to open a new chapter in bilateral relations between the two nations. But the Cuban diplomat isn’t referring to the quarter of a century she has spent dealing with this issue. “You need to read history and see how Fidel, at different times, expressed Cuba’s willingness to discuss and resolve our differences with the United States through negotiations, without renouncing a single one of our principles. And Army General Raúl Castro Ruz, on assuming the leadership of our government, stated that we have always been willing to normalize relations with that country on the basis of equality. 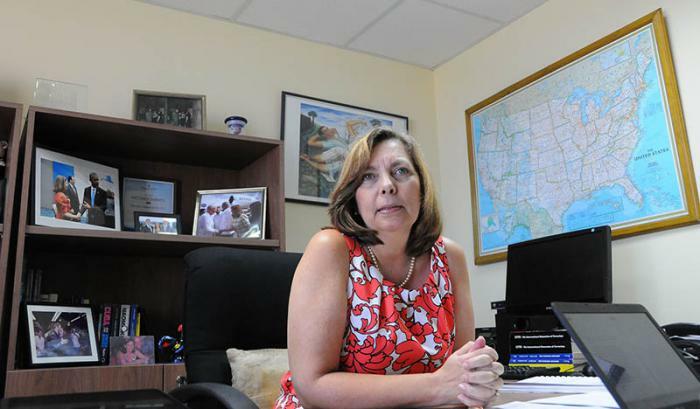 A year on, Granma International spoke with Josefina Vidal, director general for the United States at the Cuban Ministry of Foreign Relations, to discuss Cuba-U.S. relations as they stand today. 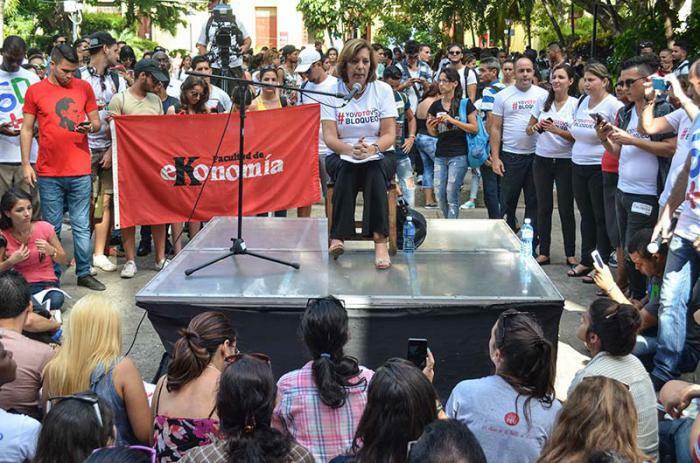 “Hemos trabajado muchos años para lo­grar un cambio en la política de Estados U­ni­dos hacia Cuba”, dice Josefina Vidal, el rostro diplomático cubano en las negociaciones con Estados Unidos para abrir un nuevo capítulo en las relaciones bilaterales. Pero no se refiere al cuarto de siglo que lleva lidiando con este tema. “Hay que leer la historia y ver cómo Fidel expresó en diferentes momentos la disposición de Cuba a discutir y resolver las diferencias con Estados Unidos mediante negociaciones, sin renunciar a uno solo de nuestros principios. Y el General de Ejército Raúl Castro Ruz, al asumir la dirección de nuestro gobierno afirmó que siempre hemos estado dispuestos a normalizar las relaciones con ese país en un plano de igualdad”. Este proceso se inició el 17 de diciembre del 2014, tras más de medio siglo de resistencia del pueblo cubano ante todo tipo de agresiones. Pocos meses después, el 20 de julio del 2015, quedaron restablecidos los nexos di­plomáticos y abiertas las respectivas embajadas en Washington y La Habana. A un año de aquellos acontecimientos, Gran­ma conversó en exclusiva con Josefina Vidal en su oficina del sexto piso del Ministerio de Relaciones Exteriores, donde radica la Di­rección General de Estados Unidos.